Do not take a chance by packing your precious belongings in sub-standard moving boxes and packaging materials. Using inferior moving supplies can damage your valuables. Trust us to provide you with long-lasting moving boxes and supplies that will protect your valuables. When you buy our products, you can be assured you are getting sturdy, well-built moving boxes that will protect your valuable possessions. All of our shipping and moving boxes are cardboard boxes. This is because they are light, strong, cheap and easy to find. 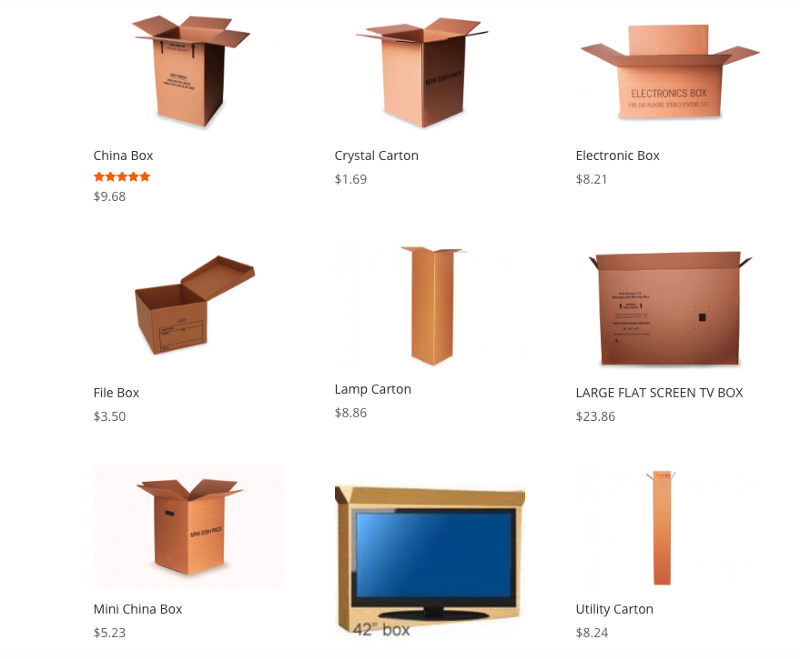 Cardboard boxes come in many sizes and shapes so it is generally easy to find a box for moving or shipping that will meet your needs. The corrugated box has two main parts: the linerboard and the medium. Both of these components are constructed from a heavy paper known as containerboard. The linerboard is the flat portion of the box which you can see that adheres to the medium. The medium is the wavy, fluted paper in between the liners. The combination of the parts mentioned above create the corrugated box. When a single sheet of corrugated is placed on its end, the flutes form rigid columns which can support a great deal of weight. The space in between the flutes acts as a cushion and insulation to protect the box and its contents.